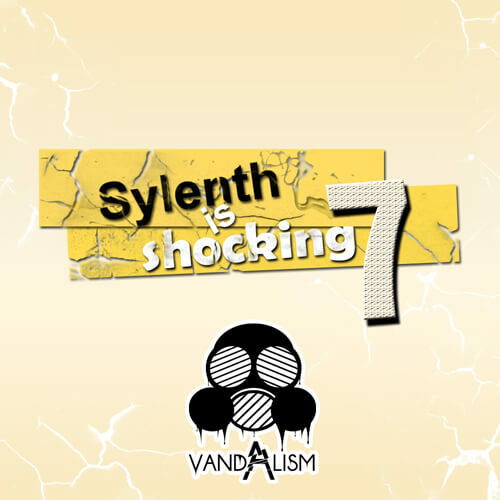 ‘Sylenth Is Shocking 7’ is a big bundled collection of presets for the Sylenth1 VSTi. Inside you can find 159 perfectly made sounds. There is everything you need for your House, Electro, Complextro, Dubstep, Progressive, Trance, Dirty Dutch, Pop and Dance productions, including leads, basses, synths, pads, arps and effects. Check the video below to see and hear some of the sounds in action (patch names included). ‘Sylenth Is Shocking 7’ is a compilation of three genres of sounds. With this bank you can create a modern club banger. Inside you’ll find sounds inspired by top artists like W&W, Ummet Ozcan, Martin Garrix, Sidney Samson, Carnage & Borgore, Mikkas, Armin Van Buuren, Dash Berlin, Joe Garston, Kyau & Albert, SynCole, Otto Knows, Zedd, Nari & Milani, Xilent, Deadmau5, Mord Fustang, DJ Antoine, Bloody Beetrots, Rea Garvey, Nervo, Thomas Gold, Above & Beyond, Kaskade, Swanky Tunes, Deorro, Spencer & Hill, Firebeatz, Skrillex, SHM, Daddy’s Groove and many more! Inspired and focused only on one artist’s sounds, this pack brings you presets that are inspired by David Guetta. Compilation includes cleverly designed sounds like leads, synths, bass and plucks, all optimized for maximum depth, width and punch. A compilation of massive bass and awesome synth sounds for every House and Progressive House producer. Please Note: These soundsets all require Sylenth1 Version 2.21 .